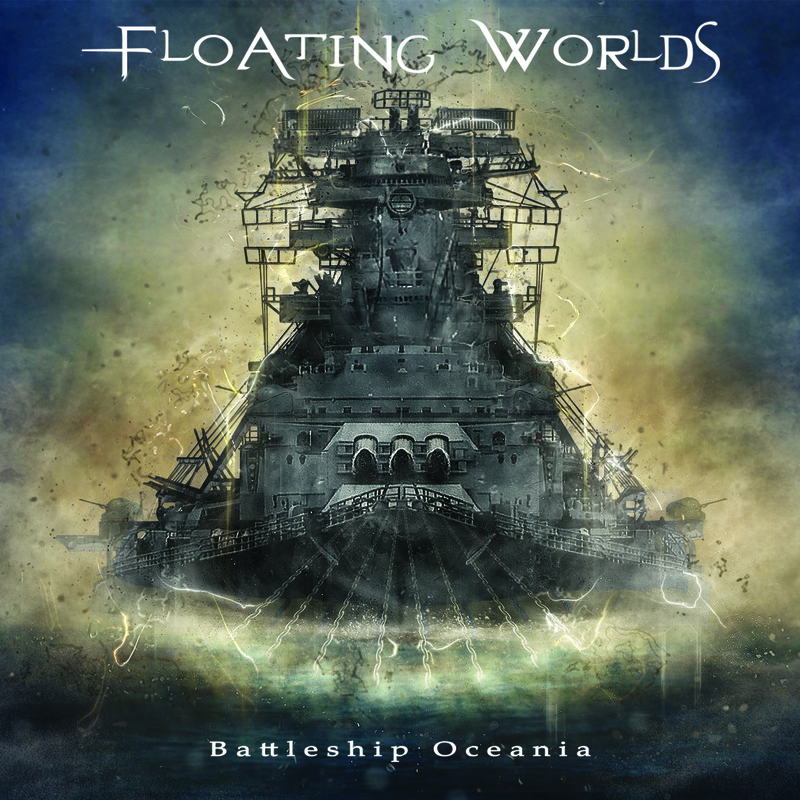 Celebrating their 21st anniversary as a band, Floating Worlds is setting sail on its most ambitious journey yet which will culminate in the release of their concept album, Battleship Oceania. The epic tale of a legendary battleship and its crew, Battleship Oceania marries Greek myth with modern day morality, with the scale of the story is matched by the music, a truly widescreen tempest of guitars, pummelling drums, synths and gymnastically operatic vocals. Launched with the first single from the album, ‘Sailing in History’, Floating Worlds have released a concept album as mighty as the impenetrable ship itself. The tale begins with the iron fortress, Oceania, setting sail under dubious government orders to intercept a ship full of armed terrorists masquerading as civilian passengers. As the crew suspect, there are no terrorists but the ship is torpedoed anyway, killing all aboard and angering the Gods of the Sea who curse the battleship. Oceania is now indestructible and with supernatural abilities – the hapless crew aboard are doomed to suffer an eternity aboard this floating prison. A chance at salvation is uncovered when it is revealed someone aboard knows rather more about the sinking of the passenger ship than they have said, leaving a battle of wits and Gods to resolve their fates. Founded by guitarist Andreas V. and bassist Vagelis Lekos, Floating Worlds has undergone several line-up changes over the years but have only increased their firepower in doing so. Having released two well-received full-length albums – 2007’s “Only a Dream Can Kill a Dream” and 2012’s “Below the Sea of Light”, their line-up now sees Andreas and Vagelis joined by Jon Soti on vocals; Nikitas Mandolas (drums); Mike Papadopoulos (bass) and Sophia Assarioti on the keyboards and vocals. Having successfully toured countries such as Greece, Croatia, Hungary, Serbia and most recently Russia, Floating Worlds are cementing their place as one of symphonic metal’s most inspiring bands.